Helmets used to be boring. We founded Nutcase to change all of that. To make helmets fun again. To make them into something you wanted to wear without being told you should. A piece of art, something that makes you smile, each and every time you put it on. We make helmets for everyone. No matter where you live, how old you are, or what kind of bike you ride, we have a helmet that will fit your head, and suit your soul. BASED IN PORTLAND, OR, AMERICA’S BIKE CAPITAL. Bicycling is a way of life in our west coast hometown of Portland, Oregon. Portland leads the country in commute trips made by bicycle (up to 7% of the population, as of 2015), is home to the nation’s only exclusively transit-bicycle-pedestrian bridge, hosts a bike-themed Film Festival, makes deliveries with cargo bikes and trikes, and comes together for an entire month of themed rides and bike-fun during Pedalpalooza in the month of June each year. We were the first American city to achieve a Platinum designation from the League of American Bicyclists, and continue to base our vision of a better city on the promise of bicycles. This energy and spirit informs the work we do, and our customers carry our mission with them in cities and communities across North America. We are proud to be part of a movement for safer streets. Family: We care about our customers, our staff, and our partners, and treat everyone with respect and kindness. We build lasting relationships, on and off the bike.Safety: We want people to love wearing their helmet. We want them to instinctually grab for it. We make this happen through beautiful graphics and fashion-forward styling, by making a helmet people actually want to wear.Quality: We pay attention to detail, and constantly work toward a better, safer helmet, for all ages and all walks of life.Teamwork: We’re better together. At home in our office, and out there on the street. 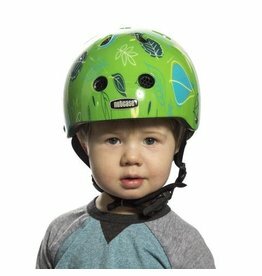 We work as a group to create the most fun helmets on the market, and our helmets work out on the street by encouraging more people to get out on bikes, more often. Our goal is a helmet on every head.Creative Leadership: We allow our imaginations to drive our company, where no idea is too off-the-wall. 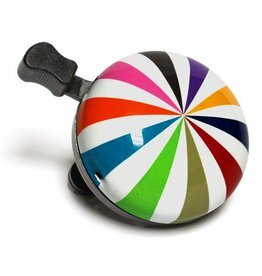 We began the company with the intent to shake up the blasé bike helmet market, and we continue to lead ten years out, pushing the style and function of bicycle helmets ever forward. Ever since the dawn of Nutcase, we’ve received design suggestions of “wouldn’t that be cool on a helmet? !” from customers and friends. We heard you, and since 2014, we’ve worked with three international artists each year, selected from an open design competition, to bring awesome new designs to market. Our Unframed Artist Series Helmets have drawn over a thousand entries from dozens of countries. We are driven by art (and we have two amazing designers on staff! ), and are humbled by the opportunity to share our designs with the world.